THE AFRICAN UNION STUDENTS COUNCIL OFFICIAL NEWSLETTER "For the Better Africa We Deserve"
Are you a young African academic? Do you have strong opinions on how we as young Africans can change and bring development to the continent "For the Better Africa that we Deserve"? 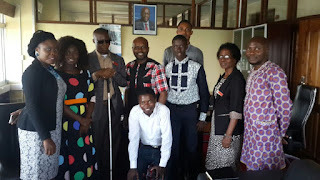 What are your views as a young African leader on the Sustainable Development Goals and how they can be achieved in countries across the continent? No Poverty, Zero Hunger, Good Health and Well-being, Quality Education, Gender Equality, Clean Water and Sanitation, Affordable and Clean Energy, Decent Work and Economic Growth, Industry Innovation and Infrastructure, Reduced Inequalities, Sustainable Cities and Communities, Responsible Consumption and Production, Climate Action, Preservation of Life Below Water and Life on Land, Peace Justice and Strong Institutions, and Partnerships for the Goals - how can each of these objectives be achieved? Join young Africans across the continent as we present the views of the young African academic in providing solutions towards the better Africa and world that we deserve. 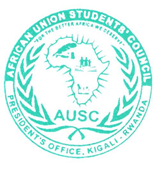 The African Union Students Council presents the launch of its first edition of its ground-breaking newsletter "THE AUSC ALIVE" as we put forward the views of Africa's next generation of leaders on the Sustainable Development Goals. Articles are called for from all African academics on subjects of interest on any of the SDGs. In no more than 500 words describe what the Sustainable Development Goals mean to you. 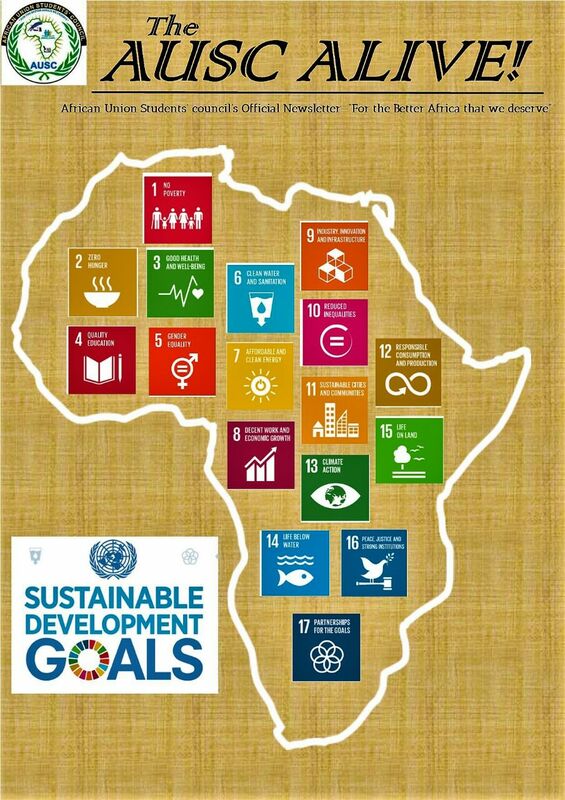 What are your countries doing to address implementation of the SDGs across Africa? Articles for publication are to be submitted using the link below before Friday the 31st of March, 2017 at 23.59 hours. Articles will be reviewed by the newsletter editorial team and authors of articles to be published will be notified via email. The newsletter will then be distributed to stakeholders across the world and access given to all interested individuals as we set the pace for creating the "better Africa that we want and deserve". 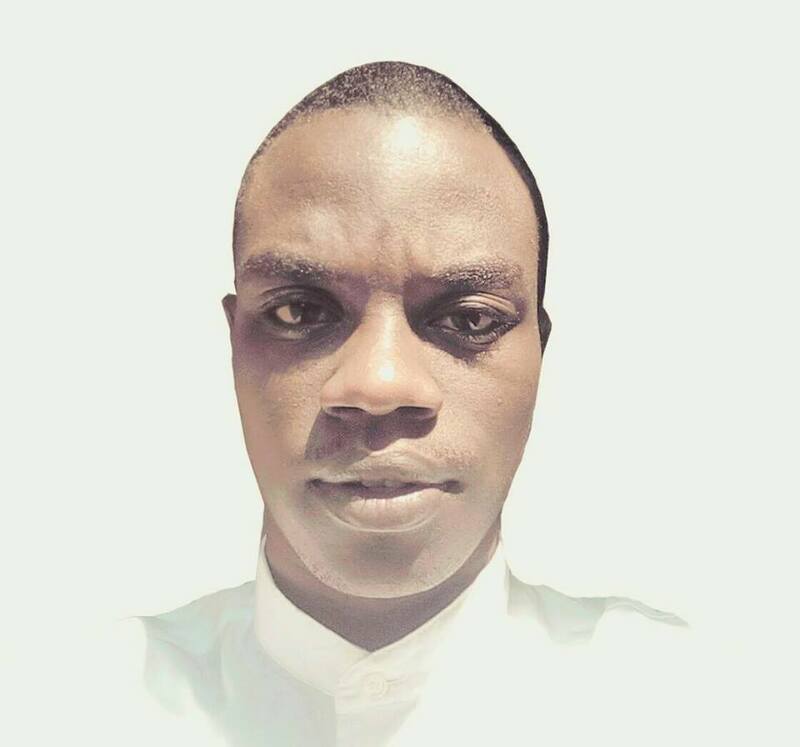 Receive my warm Congratulations to Honorable Mr Nyika Livion MUNASHE, AUSC Zimbabwe National Representative for initiating the 1st ever strongest African Students Newsletter with headquarters in Harare -Zimbabwe. Please all AUSC Offices worldwide produce Articles and send them for your offices to appear in the 1st Version of the AUSC Live Newsletter. 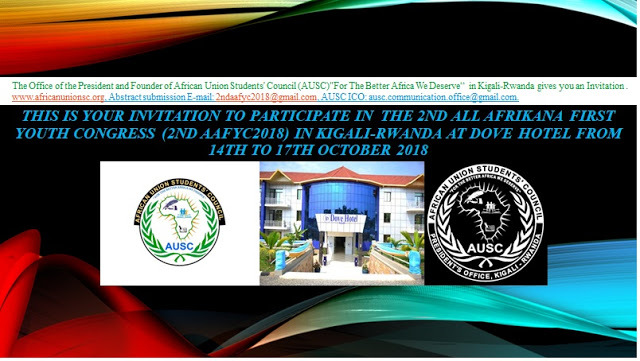 Congratulations to every AUSC Success partnered by All AUSC Leaders across the Continent of Africa and Diaspora. 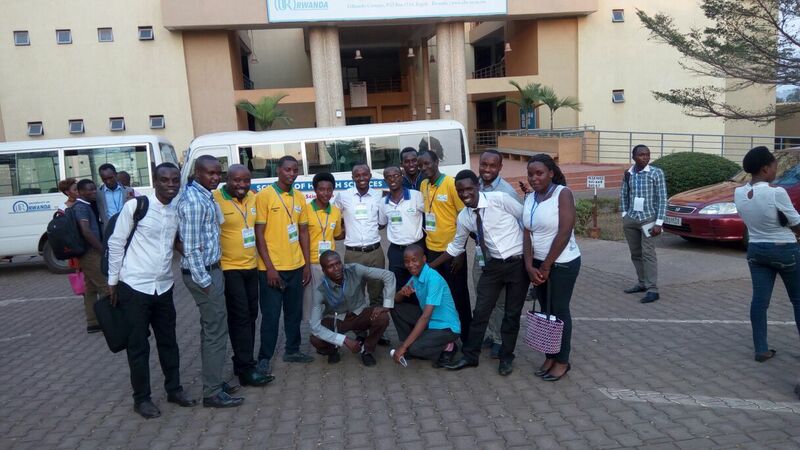 President of African Union Students’ Council (AUSC)”For The Better Africa We Deserve”.